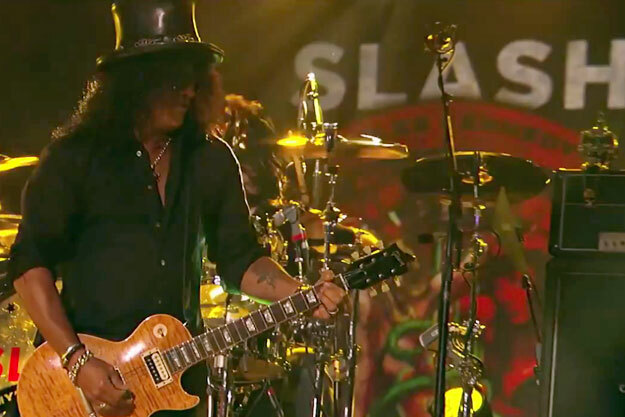 Slash was the musical guest on the Tuesday, April 10 episode of ABC-TV's" Jimmy Kimmel Live!" Slash and his band performed his new single, "You're A Lie", from the upcoming "Apocalyptic Love" album, as well as "Back to Cali" from Slash's eponymous debut on the show's outdoor stage in front of a standing-room-only crowd. Video footage of the performance can be seen below.